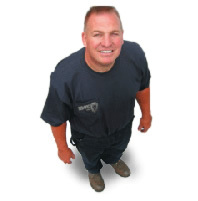 Hi, I am Craig Lyons, of Lyons Heating & Air. I've been in the business of sheet metal and air handling systems for over 24 years. If you're in need of heating or cooling be sure to contact us. I am licensed and bonded in my trade to guarantee quality work and a level of service that is second to none. See what my customers have to say. I believe in providing the highest quality equipment, which is why I have chosen to represent Daikin . 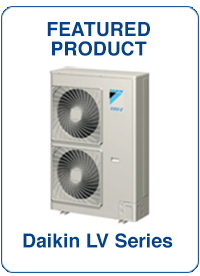 Daikin is the leader in ductless heat pump technology. With a Daikin ductless heat pump system you can get heating and cooling from one unit - our clients love the energy efficiency and cost savings of the ductless system. Call us today to find out more how a ductless mini split system can benefit you. Please call on us when looking for a new furnace, air conditioner, custom sheet metal or the new ductless heat pump technology. We'll give you the best possible service. I guarantee it. Call us at 253.864.7109 or get a Quick Quote to see how a ductless heat pump can save you money. The Mark of Excellence. The Daikin 3D Dealer Program ensures that this dealer delivers performance that exceeds industry standards. Lyons Heating & Air provides is an HVAC contractor specializing in high efficiency heating and cooling. Lyons provided furnaces, gas furnaces, heat pumps and ductless heat pump mini split systems by American Standard and Daikin. Our area of service includes: Eatonville, Olympia, Lacey, Tacoma, Chehalis, Centralia, Yelm, Ashford, Morton, Elbe, Puyallup, Auburn, Federal Way, Kent, Renton, Kirkland, Bellevue, Redmond, Woodinville, Everett, Bremerton, Graham, DuPont, Carnation, Redmond, Duvall, Gig Harbor, Mercer Island, Lake Washington, Lake Taps, Bonney Lake, Enumclaw, and the entire Seattle area.